The tundra that was the last vestige of the forests disappeared 15 million years ago, leaving Antarctica a frozen desert. Santiago: Nearly 300 million years ago, the frozen, inhospitable Antarctica was covered by lush subtropical forests, according to scientists. “That Antarctica was once green is a matter of consensus among scientists, but still unknown to many people,” Marcelo Leppe, a paleontologist who works with the Chilean Antarctic National Institute, told Efe news on Friday. Leppe, Chile’s representative to the international Scientific Committee on Antarctic Research, has spent his professional life searching for fossils that offer clues to the origins of the flora and fauna of the White Continent. 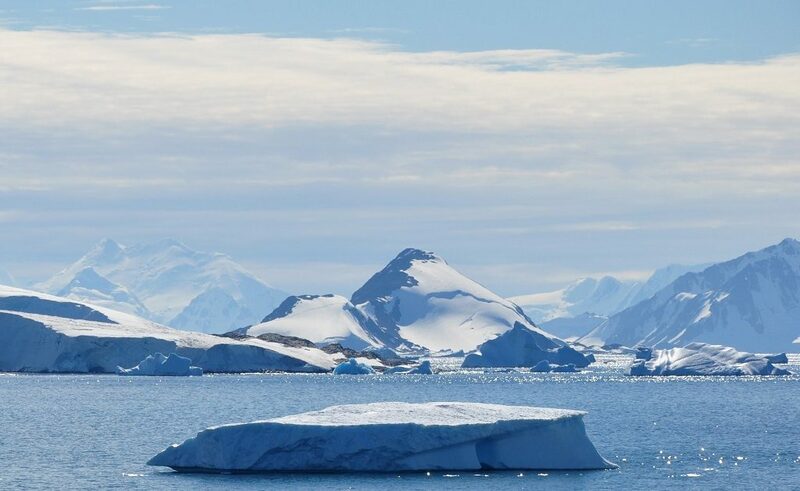 Forests began to appear in Antarctica some 298 million years ago during the Permian geologic period, as glaciers retreated and the global climate entered a warming phase, Leppe said. Fossils from the subsequent Jurassic period reveal the existence of fern and conifer forests where the Cryolophosaurus species of dinosaur thrived. But the golden age of vegetation in Antarctica was the Cretaceous period, which began 145 million years ago and lasted until around 66 million years ago. “Roughly 80 million years ago, walking in Antarctica was like walking today in a tropical or subtropical forest, something like what we could encounter in south-central Chile or in New Zealand,” Leppe said. One thing that still puzzles scientists is how the forests survived the six-month-long Antarctic night. “We know that some dinosaurs migrated before the arrival of winter, but in the case of plants, the matter continues to be an enigma,” the paleontologist said. While the plants would have received as much as 22 hours of light per day during the Antarctic summer, “that doesn’t necessarily imply that they had the capacity to carry out photosynthesis for longer hours than now,” he said. Now, however, scientists see grass and wild oats growing in the areas of Antarctica where the ice has retreated due to global warming, Leppe said. Climate change, the introduction of invasive plants, and the retreat of the glaciers are creating the conditions for the White Continent to turn green again.